Between Ales and Aubenas in the Ardeche Department, there is an interesting named the Cocalière Cave the tourist and historic site. As its name suggests, it is a cavity underground. It is located at the foot of the Cevennes National Park. This place has not been dug by man. It's a natural creature which contains elements of all kinds, which testify the history of this area. According to studies that have been done on the place, the site formed 35 million years ago. It is one of the sights that attract the most cavers who come in this area. It is also part of the places that remain still quite mysterious and transformation has not yet reached its limit. The first explorations on this place date from the middle of the 19th century. The members of the SSPGA or society of Speleology and prehistory Gard Ardèche which made the initial research. According the analyses that have been made, this site has been inhabited by humans since the mousterian or 45,000 years before the NJC to the iron age or 400 years before the NJC. 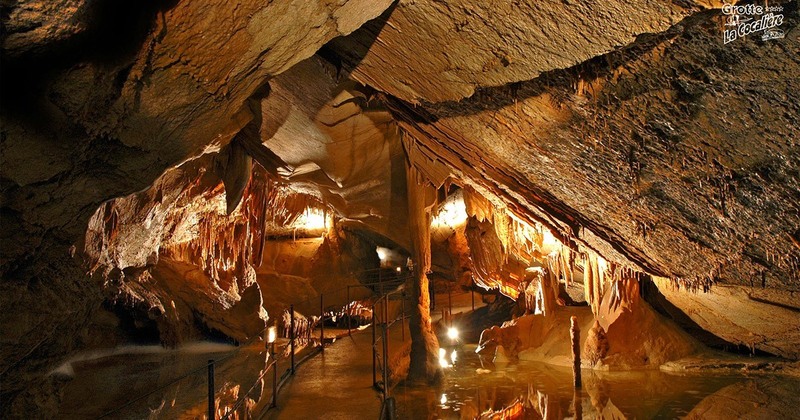 Open to the visit since 1967, Cocalière cave is one of the most beautiful caves in France. As the site has many natural wonders, stalactites, stalagmites and calcite, it is known as diamond cave. Also can be found inside of other elements such as the pools of Crystal, pearls, fine draperies or even disks. The average temperature in the cave is 14 ° C. Its underground network is over 14 km. There are about 1 km from cavity so the public can visit. This cave has also several entries. It consists of several parts including the "Congress Hall" which can accommodate up to 250 people. She also so-called Pearl cave, the room of chaos and the cascade of gours. Near the exit, there is a reproduction of a prehistoric excavation site. When you end the visits, we take a small train that runs through the site. The Cocalière cave is much more than a cavity with interesting elements in its interior. It is also a place that has special geological interests. As it is dotted with concretions of minerals of all kinds, so it may be a destination attractive discovery for those who are interested in geology. We can expand knowledge about the elements that are there and their training. In this cave, it is also possible to meet some unusual animal species including the niphargus. These are small blind shrimp. Found often in waters in the room of the bivouac camp. The inside of this cavity flickers through the different colorations bequeathed by the elements it contains. It offers an exceptional show of colors.